Laura Hoffman Illustration & Design: I got artwork accepted in the OC Fair! I got artwork accepted in the OC Fair! I just dropped off artwork to the OC Fair! This year's Fair is on from July 12 - August 11 in Costa Mesa. This year, the competition's tighter now that the competition is open to all of California. 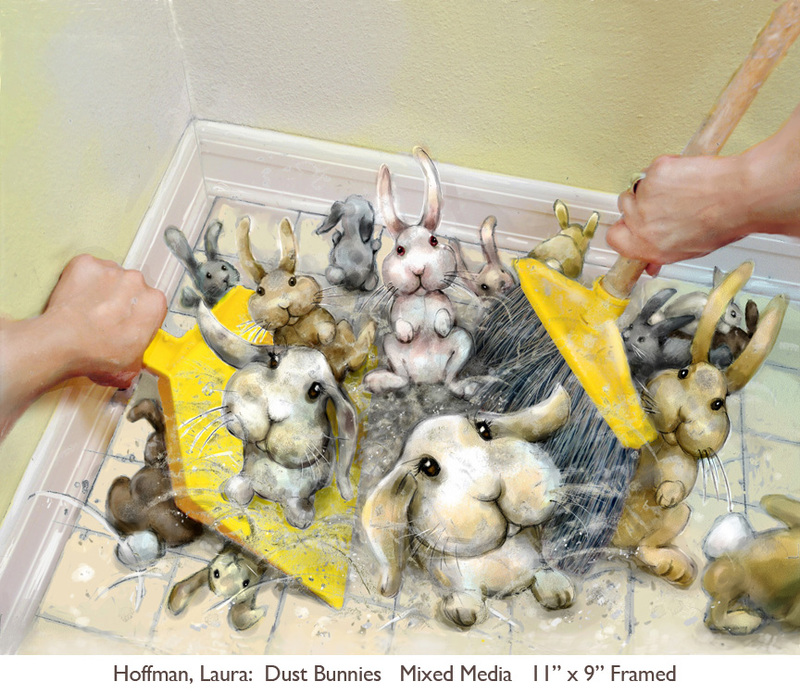 The artwork that got in is called "Dust Bunnies" - a part of the Idiom Series. Congratulations to my fellow artists and photography students for getting work into this tough juried competition! I can't wait to see everyone's work hanging on the walls at the OC Fair. See you there!